"All those years you tried your best to break me, and I'm still here. One day you'll see, I'm going to make something of myself". These words were Dave Pelzer's declaration of independence to his mother, and they represented the ultimate act of self-reliance. Dave's father never intervened as his mother abused him with shocking brutality. These words were Dave Pelzer's declaration of independence to his mother, and they represented the ultimate act of self-reliance. Dave's father never intervened as his mother abused him with shocking brutality, denying him food and clothing, torturing him in any way she could imagine. This was the woman who told her son she could kill him any time she wanted to -- and nearly did. The more than two million readers of Pelzer's previous international bestsellers, A Child Called "It" and The Lost Boy, know that he lived to tell his courageous story. A Man Named Dave is the gripping conclusion to his inspirational trilogy. 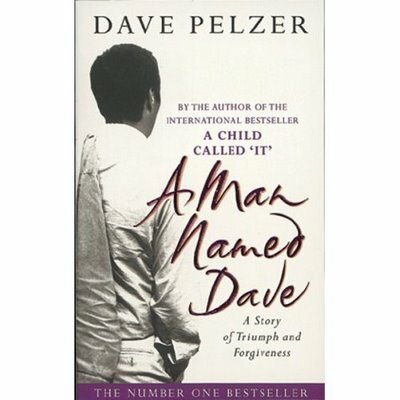 With stunning generosity of spirit, Dave Pelzer invites readers on his journey to discover how he turned shame into pride and rejection into acceptance.